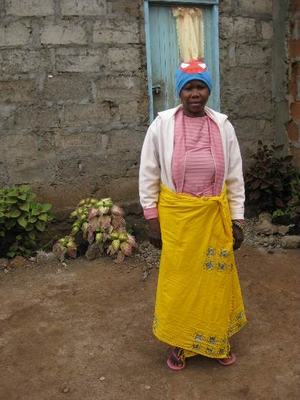 Janeth was identified to the Mondo team through the local health clinic, where she receives her HIV treatment. She is supporting 4 children and one grandchild. During the training with Mondo she decided to set up a business selling banana brew, and used the grant to buy her first stock. She says that the training she received helped her to understand how to reinvest profits to make her business sustainable. Janeth started with one small outlet but with the help of a loan from Mondo in 2015 she has expanded the business and now sells in two locations. She employs two people and has started to build a two-roomed house with her savings. She says that all is going well, except that she is occasionally blamed for the disorderly behaviour of her customers but she doesn’t mind! If you would like to help support more women like Janeth, we are currently raising funds for our next round of grants and loans. To help us achieve our target you can donate here.